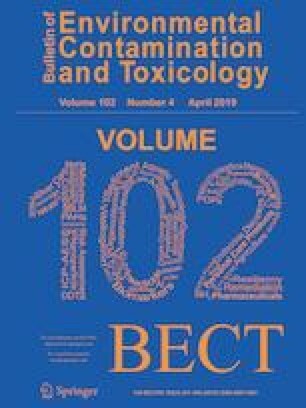 This work evaluates the factors affecting the presence of organochlorine pesticides in Pampeano aquifer in the Quequén Grande River watershed, Buenos Aires Province, Argentina. Eighteen sampling sites were selected in order to have representatives of different type of wells and types of soil. Among the analyzed compounds, endosulfan showed the highest concentrations (4.75 ng l− 1 mean), which could be related to use in the recent past. Others important pesticides groups detected were HCHs (1.1 ng l− 1 mean) and heptachlors (2.17 ng l− 1mean). The analysis of the results show that the thickness of the unsaturated zone is the main factor related to the concentrations of pesticides and there were no differences according to wells or soil types. Although agricultural use of most OCPs has been banned in Argentina from more than 30 years ago, their residues are still detected in groundwater of the region, indicating their high persistence. This study was supported with grants from Universidad Nacional de Mar del Plata, ANPCyT (PICT-07/390 and PICT-11/0768) and is part of the PhD thesis of the first author, who thanks to CONICET and FONCyT. We also thank Eleonor Tietze for assistance in statistical analysis of the results.